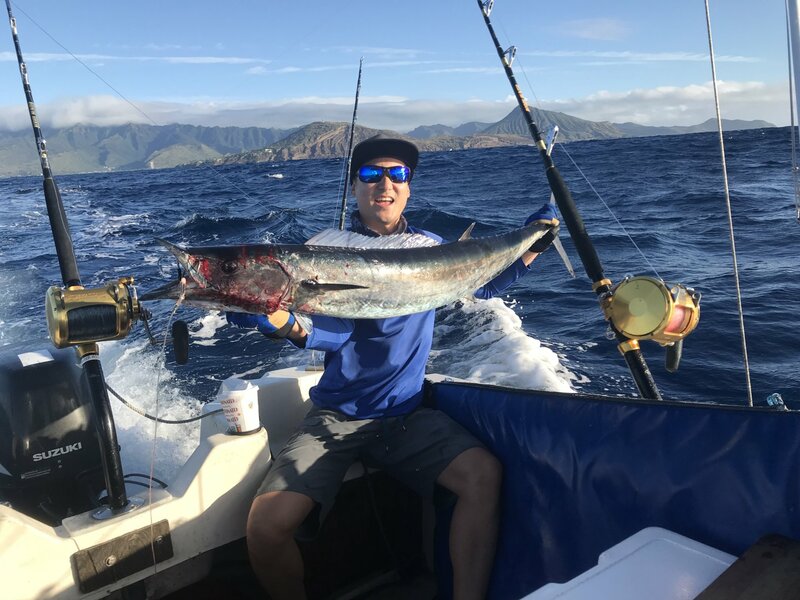 Discussion in 'Hawaii Fishing Reports' started by russell kato, Feb 23, 2019. Took advantage of the calm winds and launched from the Ilikai ramp (since Hi Kai pier was all buss). Got a early strike on the 40fm by the Natatorium (Ono) but didn’t hook up. Took another strike by the Diamond Head buoy and picked up a 9 lb shibi. Took another strike by Portlock in 100 fm and picked up a decent size Ono (23lb). About a mile from the first knuckle found a bird pile and took 3 strikes and ended up with only one Small mahi (7 lb). No strikes the rest of the day! Should have gone home after the Last strike (9:30 am)!! shinchan, conor, ripped and 7 others like this. Nice to hear there are a few Ono around. I was wondering if the ledges might produce with new cold water intrusion and incomming/clean water in the mornings and evenings. A friend picked small kine Aku and Shibis off of MM today. We are going to try trolling east side tmrw. 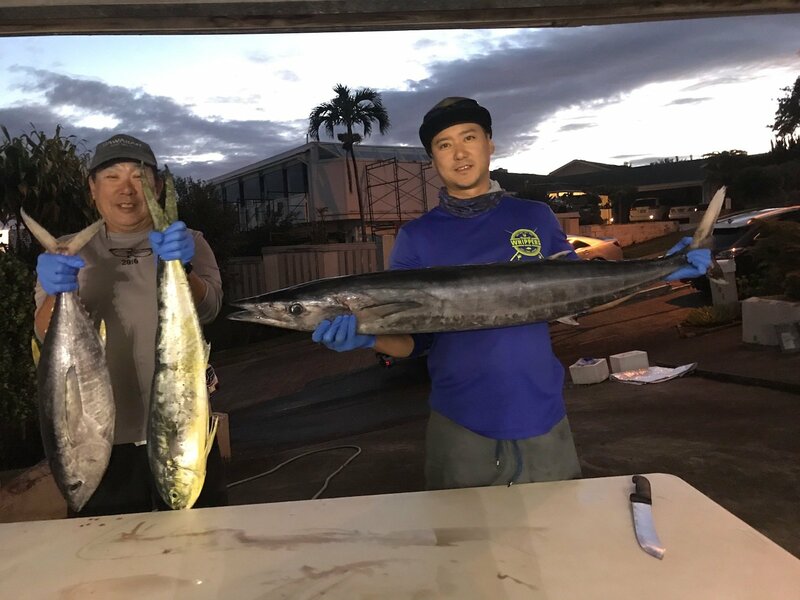 We caught a pile (60-70pieces) of tiny Aku, 6 small shibis (kept 2 over 10lbs), and went 1 for 4 on Mahi. Fished U, LL, and X. X was marking deep. 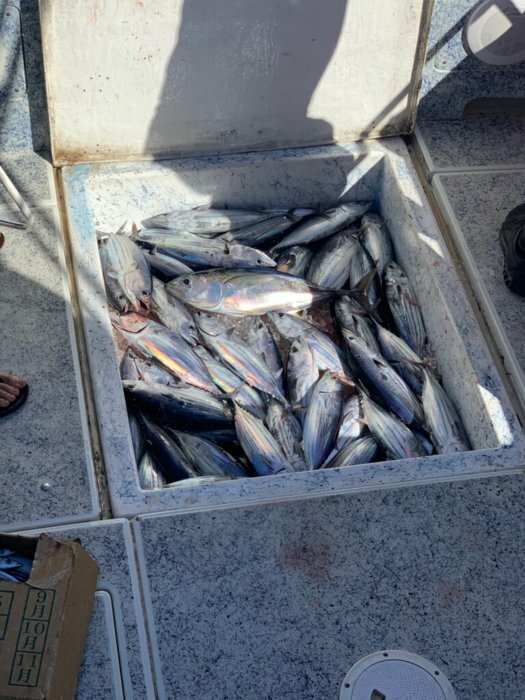 We caught the Shibis, Mahi, and ~25 aku yesterday. 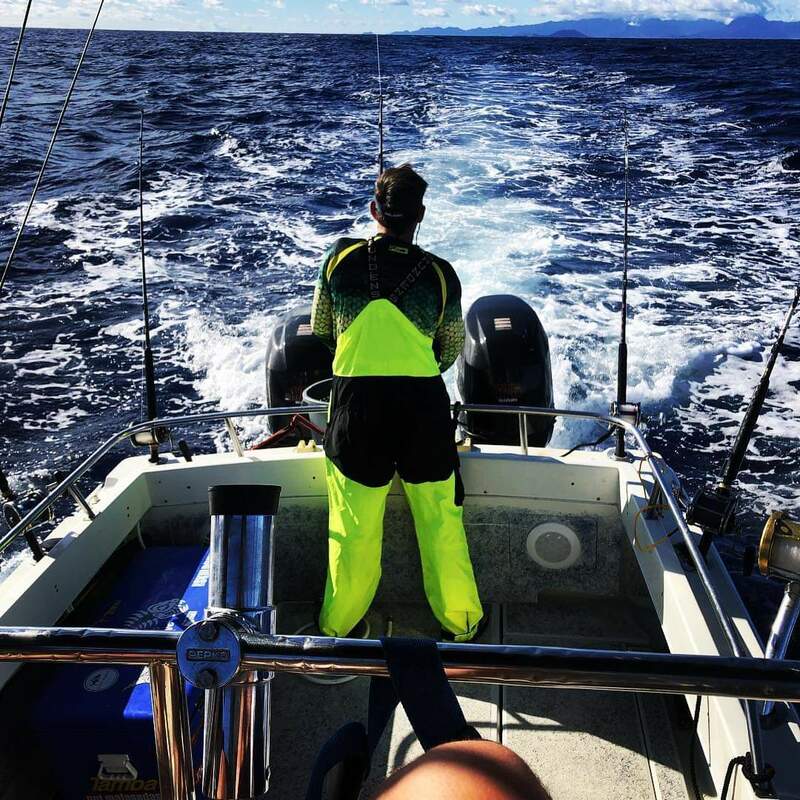 How did you fish the buoys? Good goin' on a scissor lipped critter, hope to up the body count on them buggas this season. Hopefully we run into each other when you make the long trek out West. Yeah, pleasantly surprised with the Ono. Surprisingly, the ledge along the Honolulu side of the Banks was pretty dead. Probably need to drag some rigged up Ballyhoos on my next trip there. Yeah, gotta agree with the Banks being pretty slow right now. I think it’s about 2 weeks away from really picking up (at least I hope so)! Good going on your Hebi...still better than a bolo head trip! Thank you Pat! 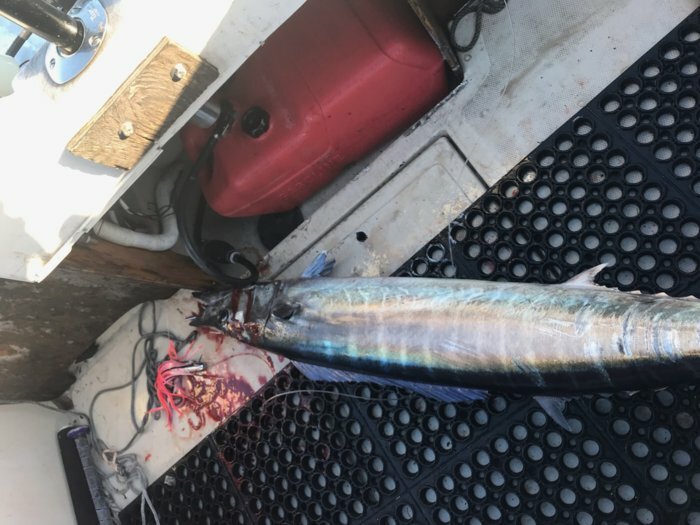 Last year was pretty sad with the Ono catch....the few I did catch were caught in the channel, none caught on the 40 fathom ledge. Looking forward to seeing you on the West side starting late May!